A 22-year-old California man is being hailed a hero after he died while trying to save a 5-year-old from drowning in a raging river at Sequoia National Park. 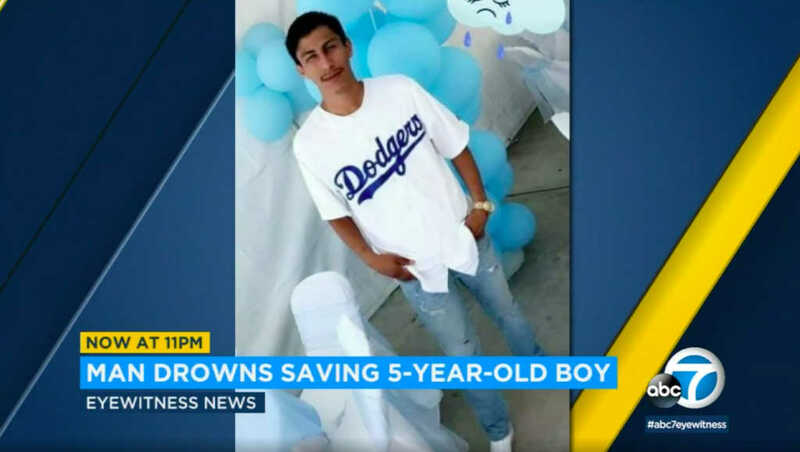 San Clarita resident Victor Mozqueda was walking along the Kaweah River on Saturday when he noticed the boy, Vincent Gonzalez, slip and fall into the river’s fast-moving waters, ABC News reported. Although he didn’t know how to swim, Mozqueda went in after the boy, repeatedly pushing him above the water so he could breathe as the river swept them away. “He never let go of [Gonzalez] even when they went down under the [currents] a few times,” Carmen Hernandez, Mozqueda’s sister-in-law, wrote on a GoFundMe page she created to cover the cost of his funeral. Mozqueda’s “last effort” was throwing Vince out of the river’s strong current so the boy’s father could “barely grab” hold of him, Hernandez wrote. Three nearby fishermen helped to get Vince and his parents, who also jumped in the water, to safety. By that time, Mozqueda was out of sight, and his body wasn’t found until two hours later. Mozqueda “didn’t think twice” about putting himself in danger to help the boy, his sister, Maria Ventura, told ABC News. Mozqueda’s family is devastated, Ventura said. He loved soccer and dreamed of being a musician, KABC-TV reported. Vince was airlifted to a nearby hospital after his father and one of the fishermen performed CPR to resuscitate him, his mother, Anita Baker, told ABC News. He has since been released from the hospital and is doing well. “Words cannot express how thankful I am to have my son back because of the selfless act he did for my son,” Baker said of Mozqueda. Mozqueda is the second person in two weeks to have died in that part of Sequoia National Park – near the entrance, according to park officials. “The rocks are super slick on the river’s edge, and people should avoid getting close to the water,” Sequoia District Ranger Dave Fox said in a statement.